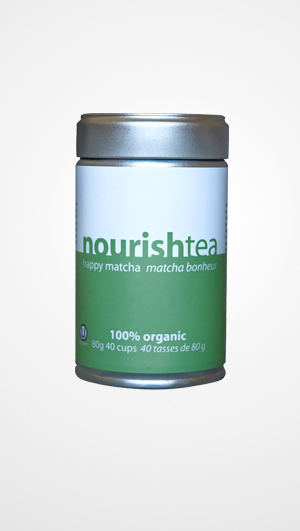 Matcha is a very special addition to the nourishtea set. There’s a lot more to matcha then just taste and beauty. It’s truly a unique product with healing and health promoting properties…and we’re fortunate to be a part of the select few that carry Japanese matcha. The health benefits of matcha exceed those of green tea because you ingest the whole leaf and not just the brewed water. Like all green teas, matcha is credited with providing numerous health benefits. The beauty of matcha is that you can receive the benefit of the whole, high-quality green tea leaf. Comparatively, matcha green tea has a much higher concentration of antioxidants than orange juice or blueberries, two fruit sources well known for their abundance of antioxidant properties. Matcha has antiviral and antibiotic properties, said to help with digestion by killing harmful bacteria, and even preventing colds and flu. Matcha health benefits include increasing mental alertness with an abundance of vitamin C, plus huge amounts of beta-carotene. Matcha green tea is also known for its ability to provide a meditative, focusing, calming effect on those who consume this remarkable beverage. If you are interested in weight lifting and bodybuilding, you may be surprised to learn of the many matcha health benefits related to bodybuilding. Studies show that EGCG, the powerful antioxidant in green tea, suppresses the appetite, and aids in the process of turning carbohydrates into energy instead of fat. Matcha is known for its weight loss and fat-burning qualities.